You might remember I shared a similar paste, Darlie. 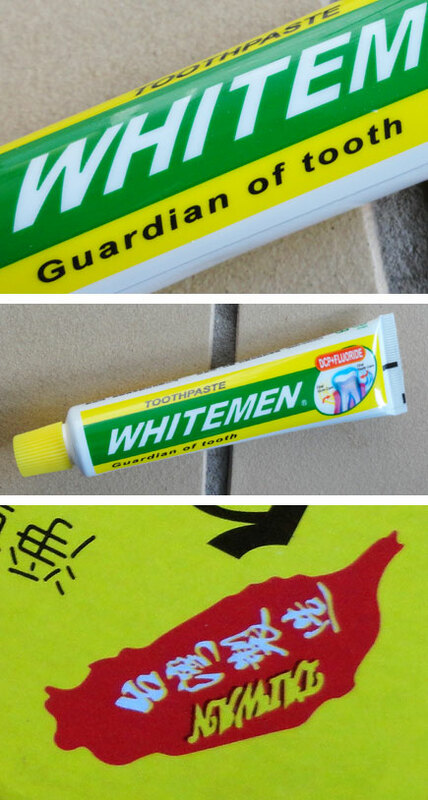 The actual pastes are quite similar: white, mint, chalky and basic. The box has an ingredients list in English. One of the components listed is "adhesive." I always thought I was geographically literate... little did I know, but the hot pepper shape is actually the shape of the island of Taiwan, its country of origin. Special thanks to my friend Beth, who visited there in the summer of 2011. She was also kind enough to bring me a small hotel-sized tube as well.